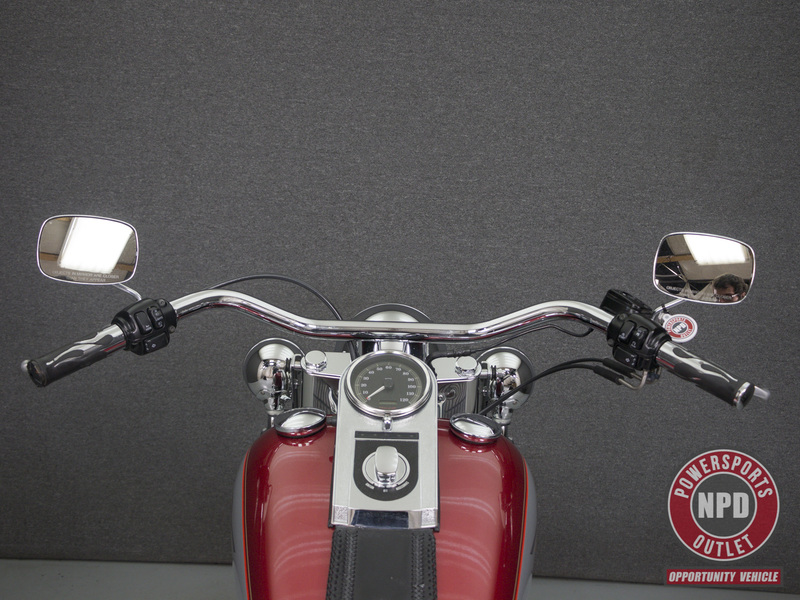 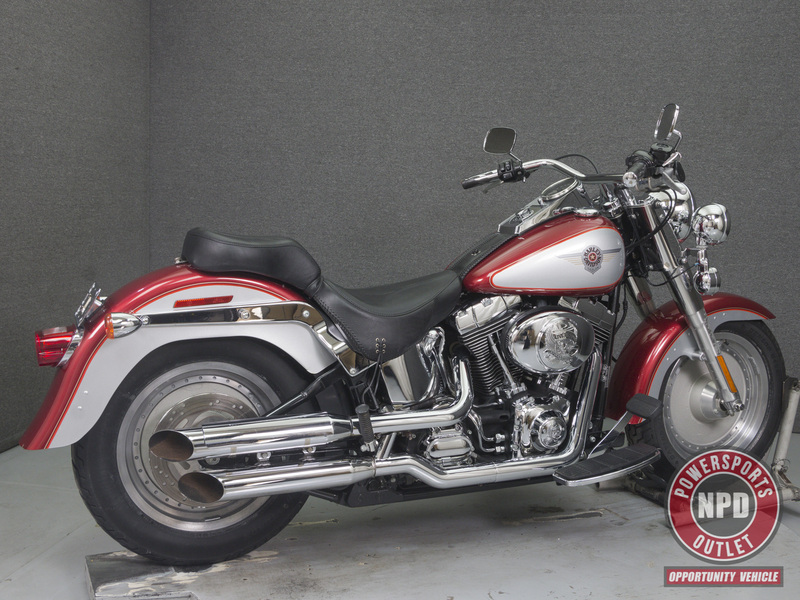 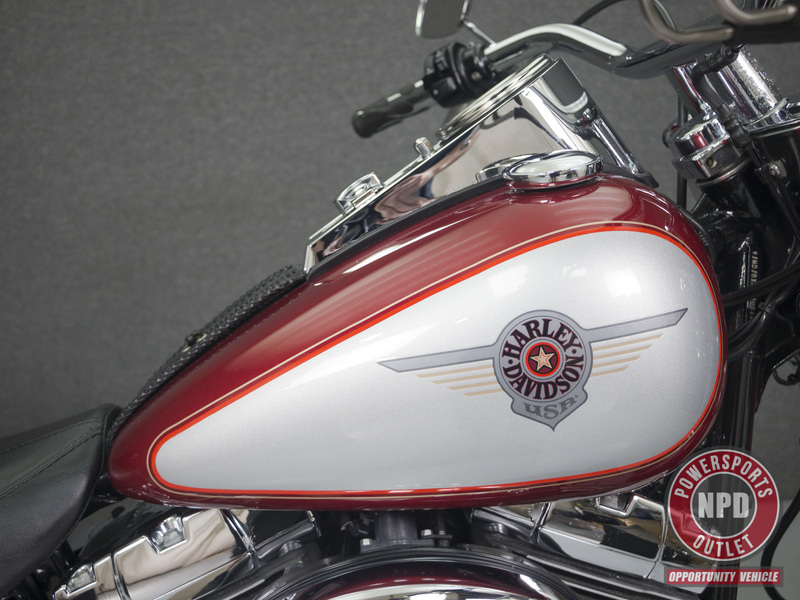 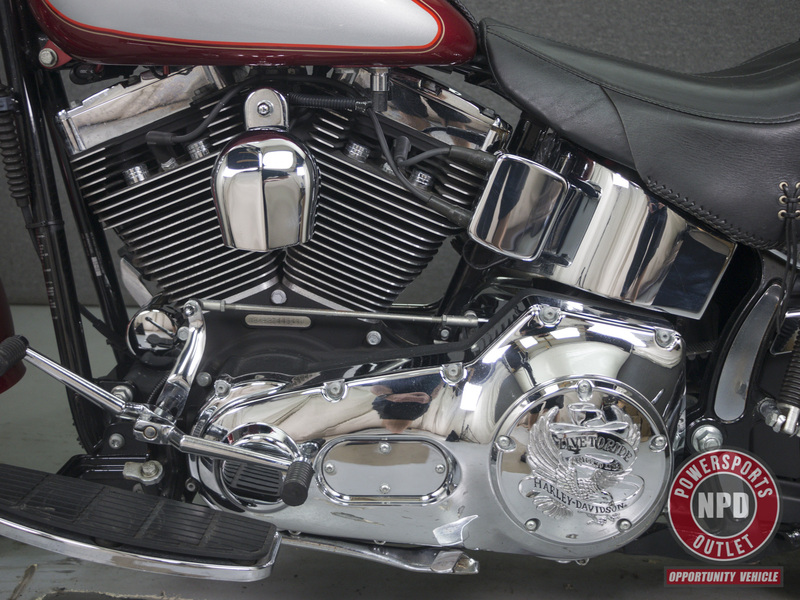 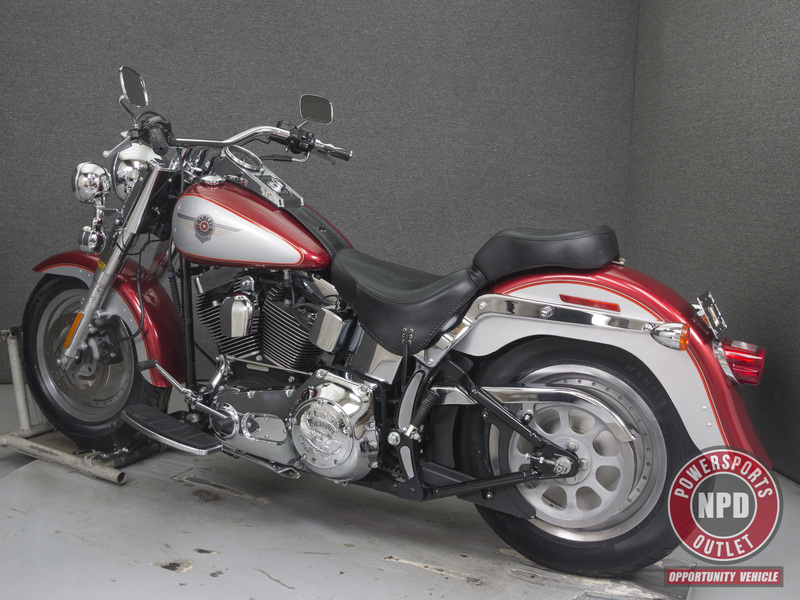 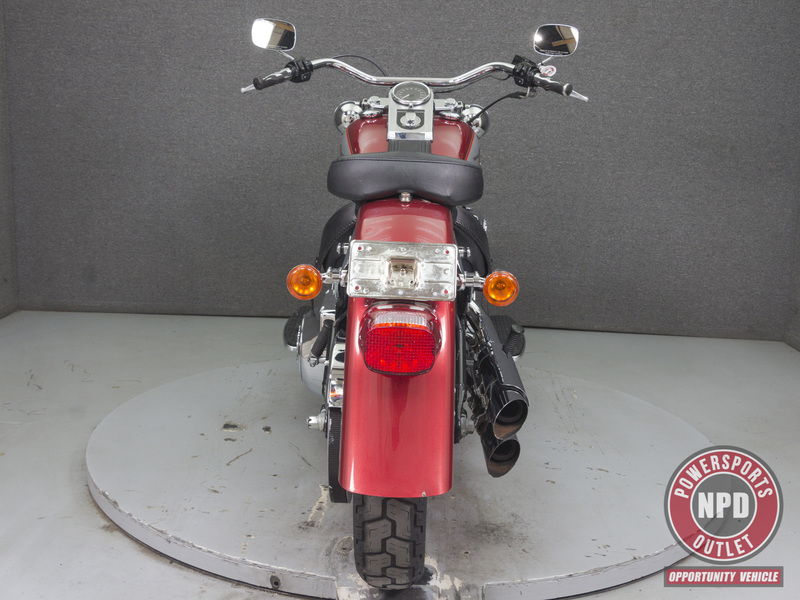 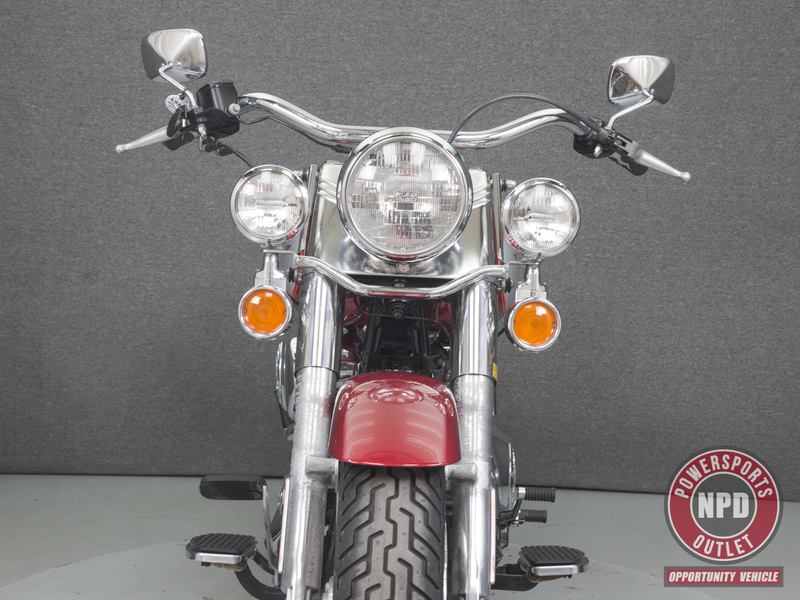 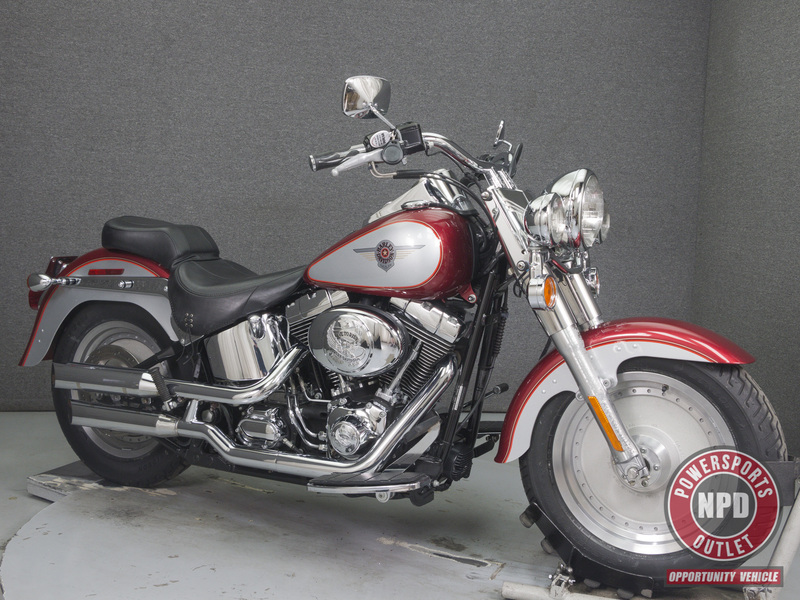 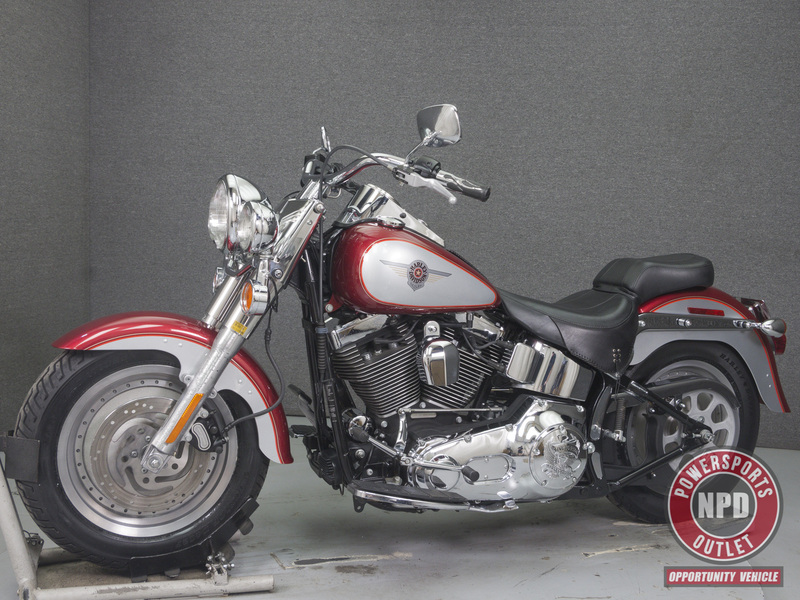 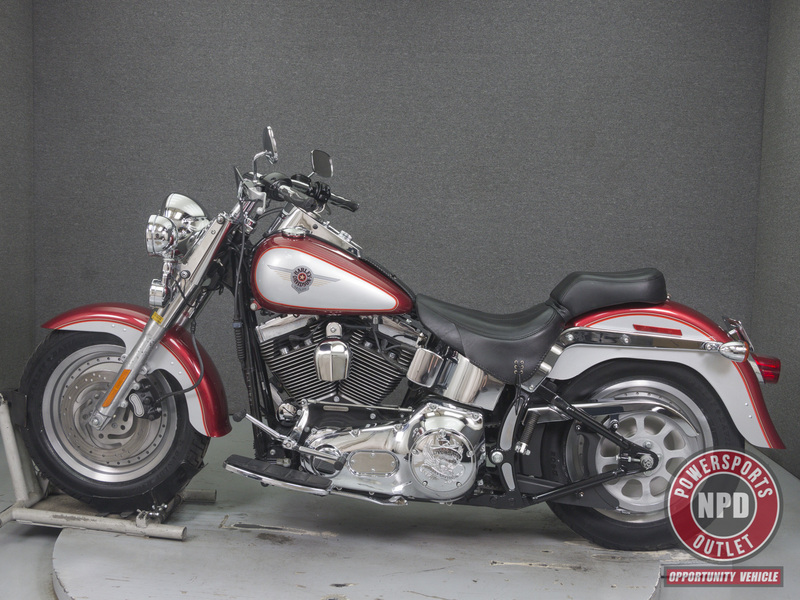 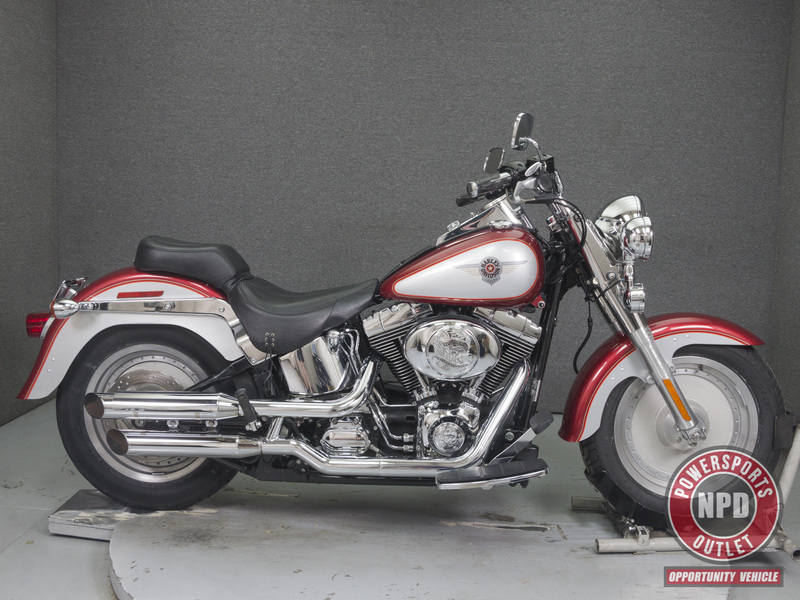 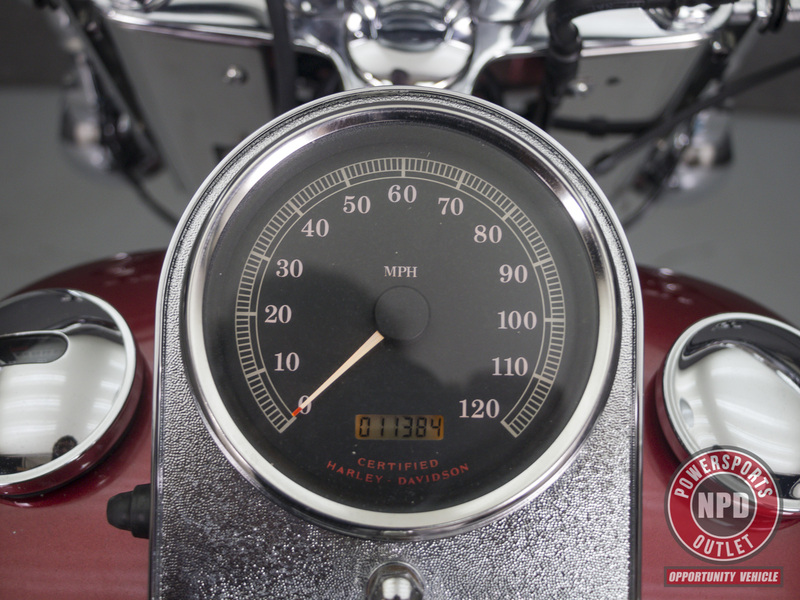 This 2002 Harley Davidson Fat Boy with 11,384 miles has been detailed and passes NH State Inspection. 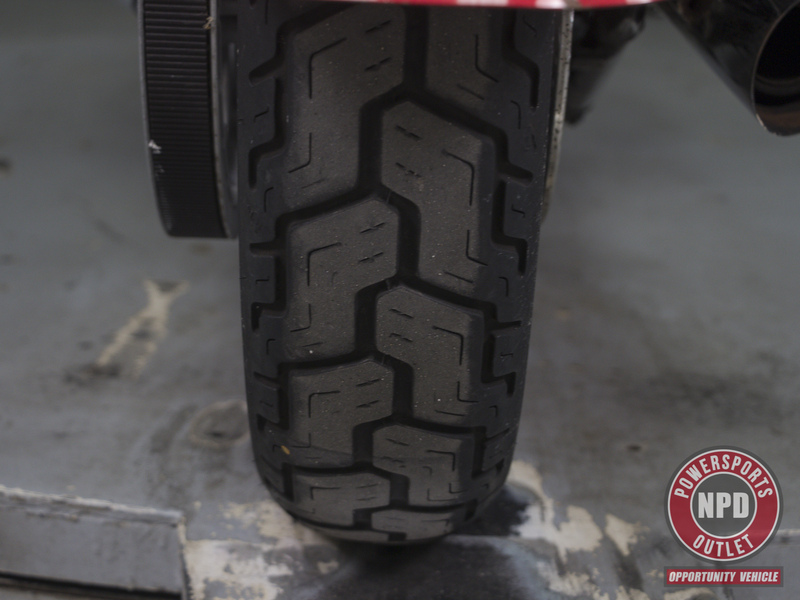 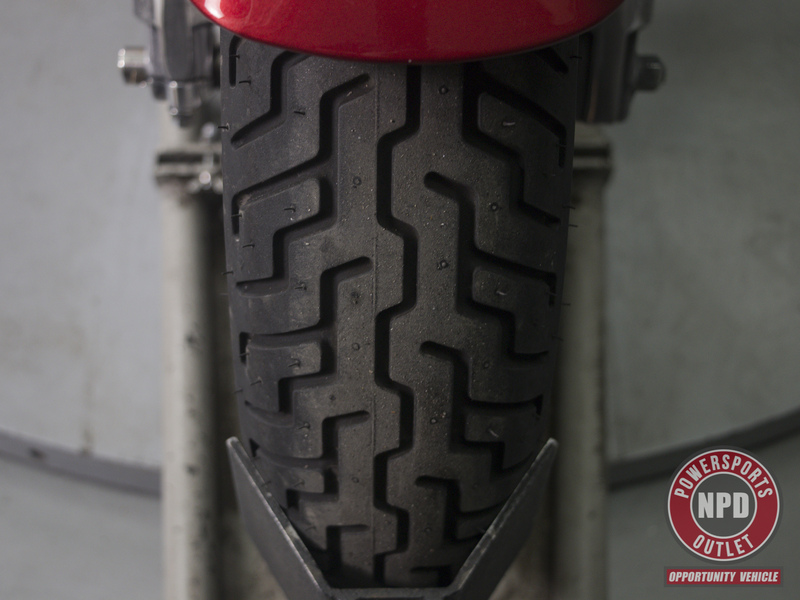 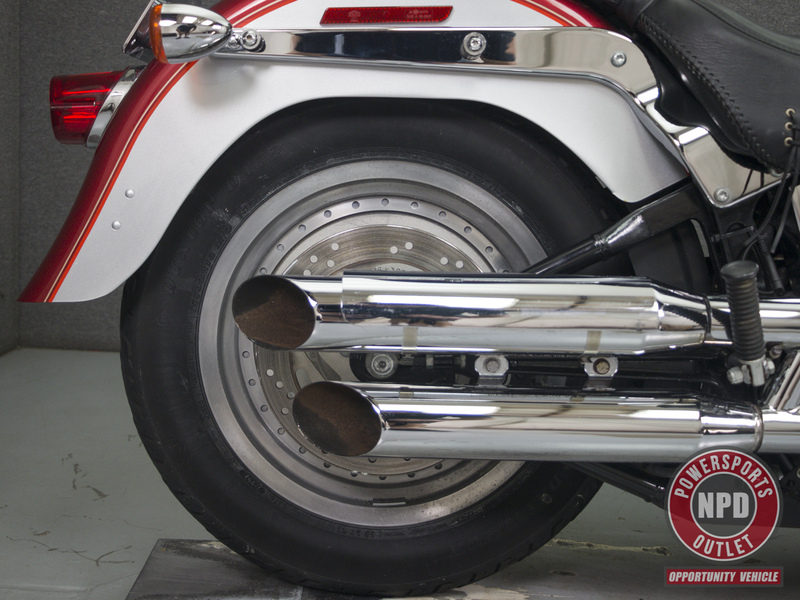 It runs, rides, and shifts well, though our technician noted some slight front brake pulsation during test ride. 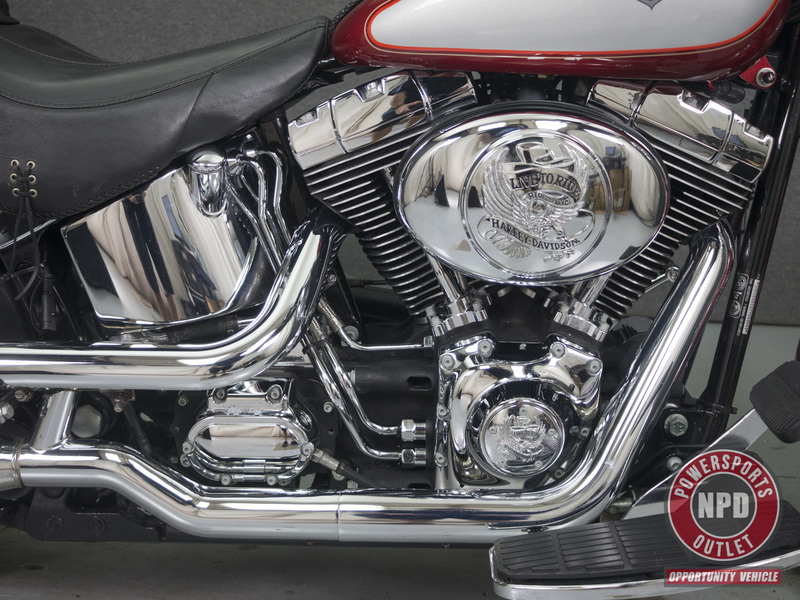 Powered by a 88 cu/in v-twin engine with a 5-speed transmission, the Fat Boy puts out 85 foot-pounds of torque at 3,000 rpm. 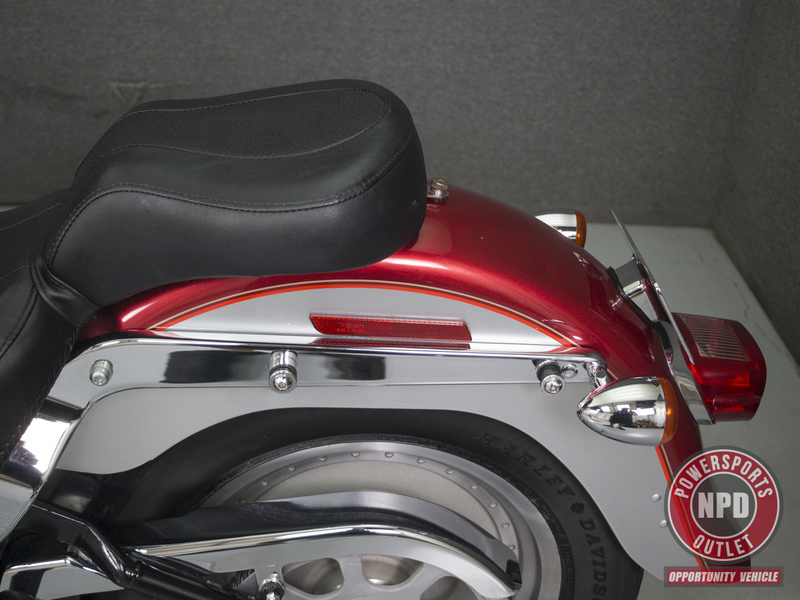 It has a seat height of 25.1" and a dry weight of 714 lbs. 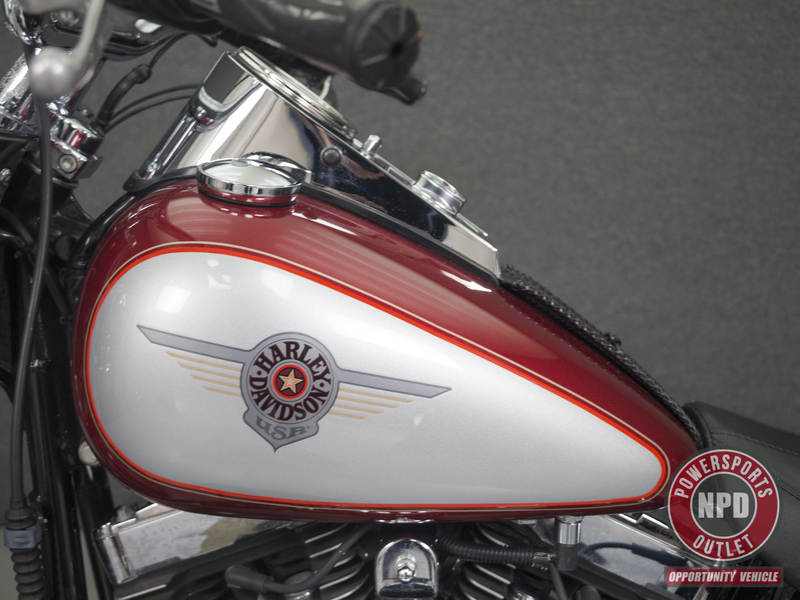 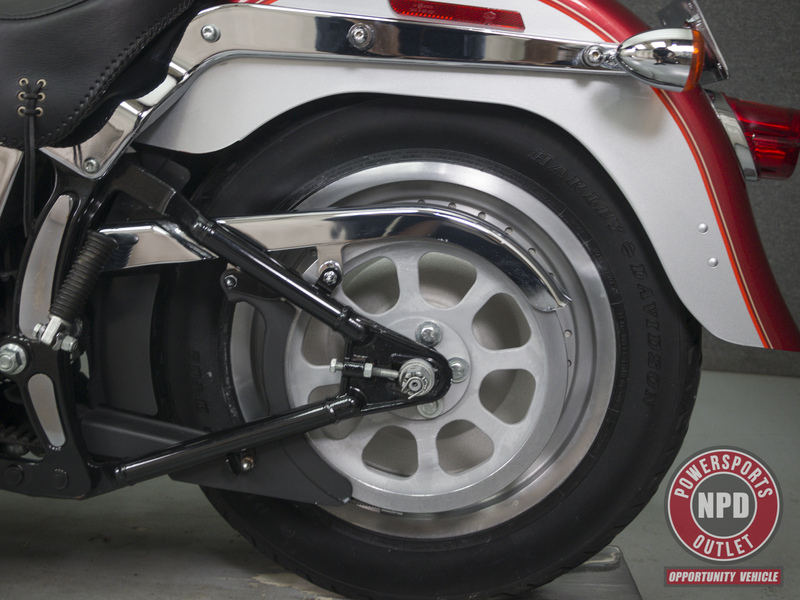 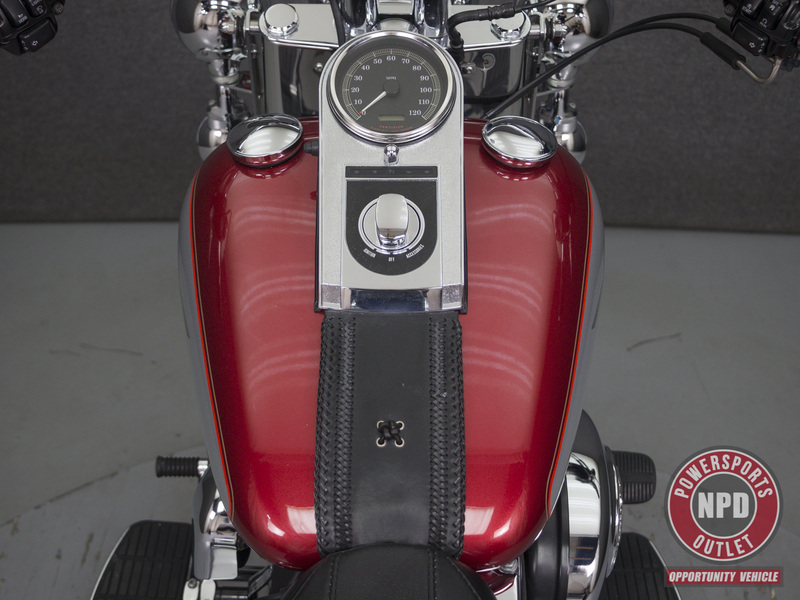 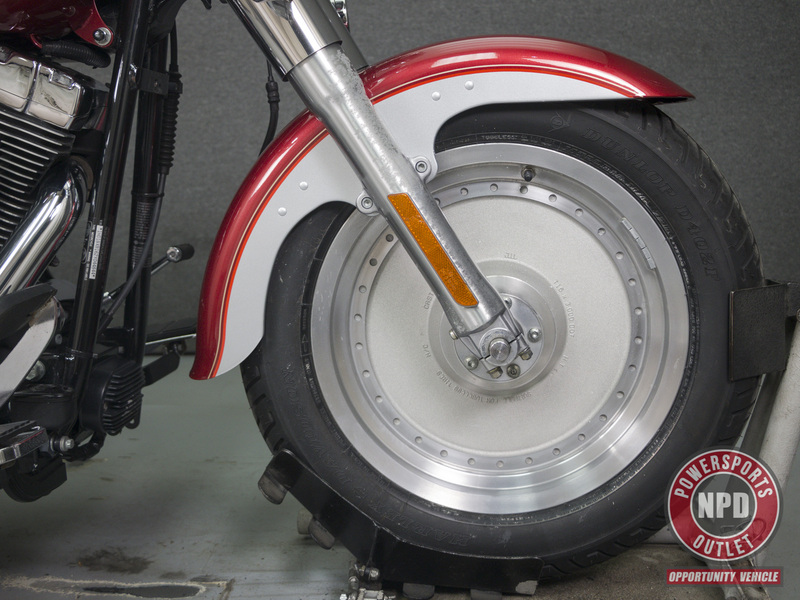 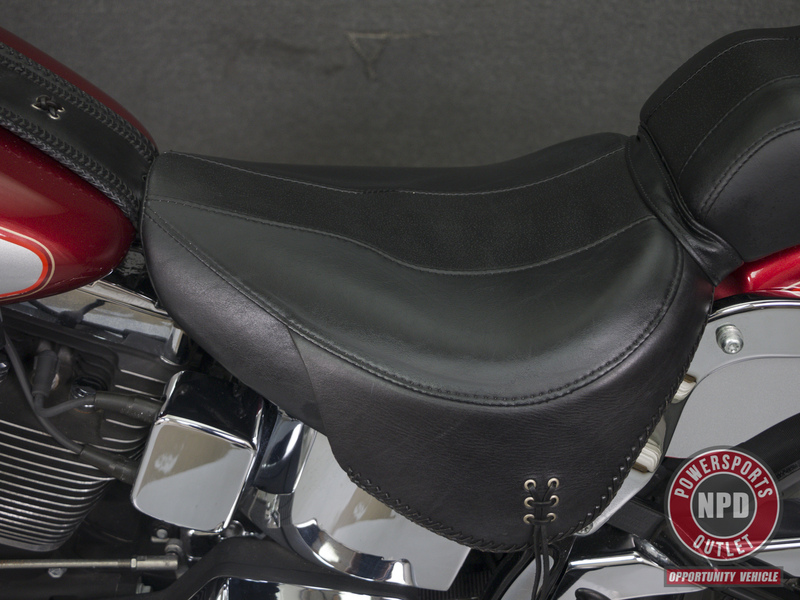 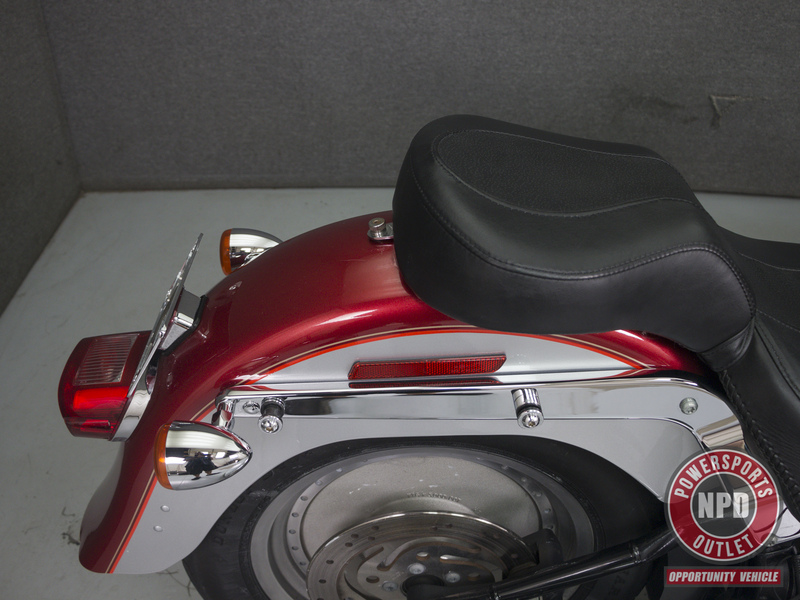 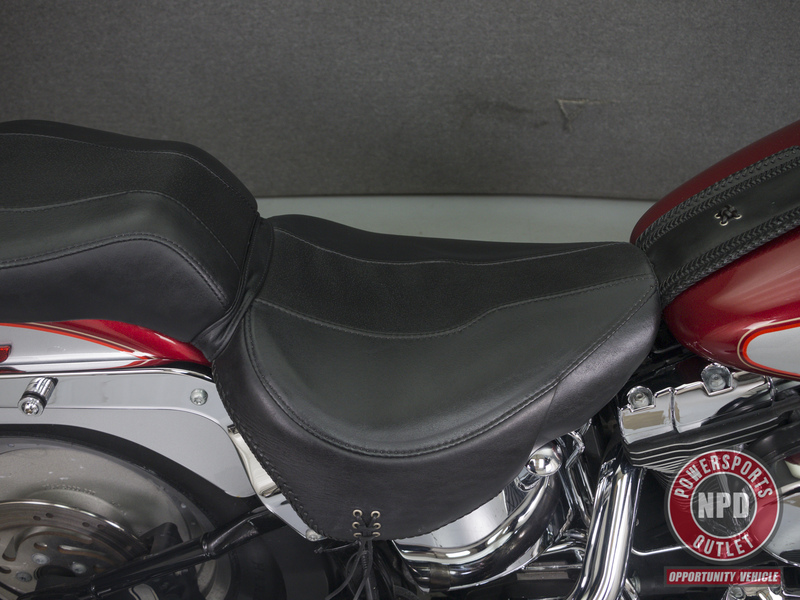 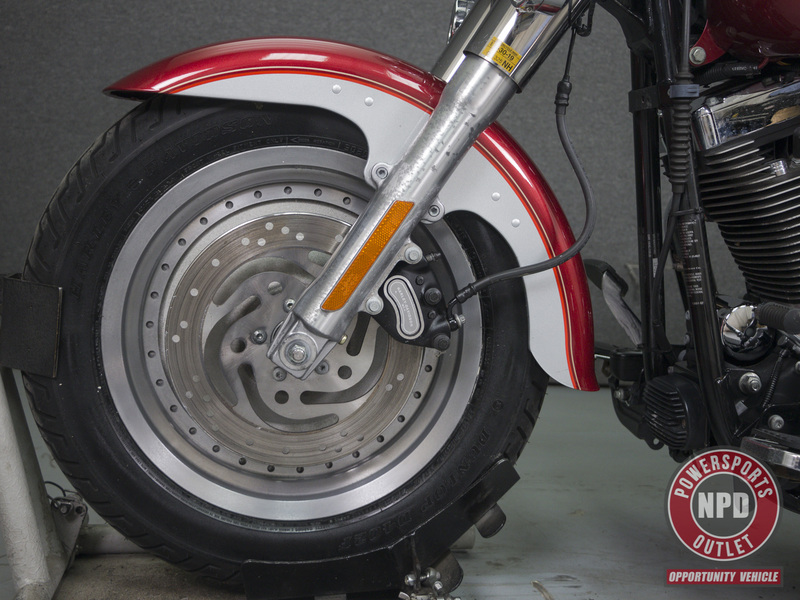 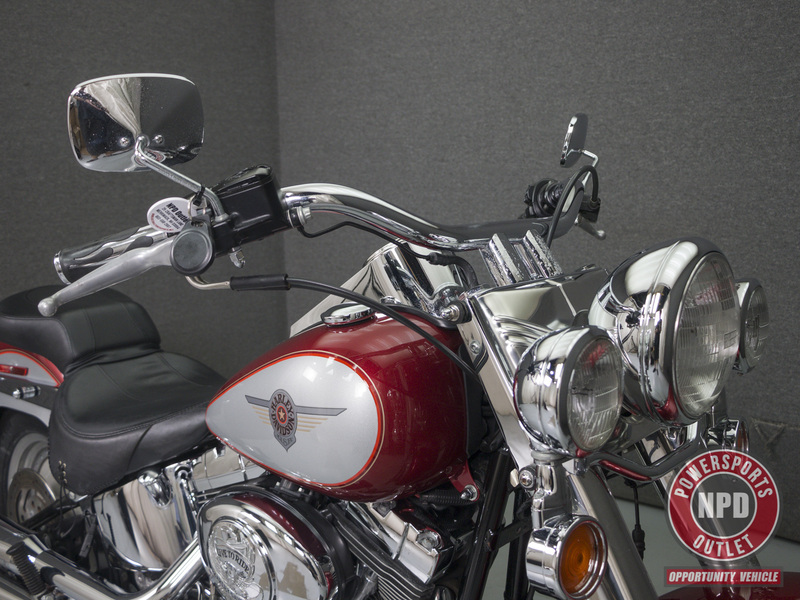 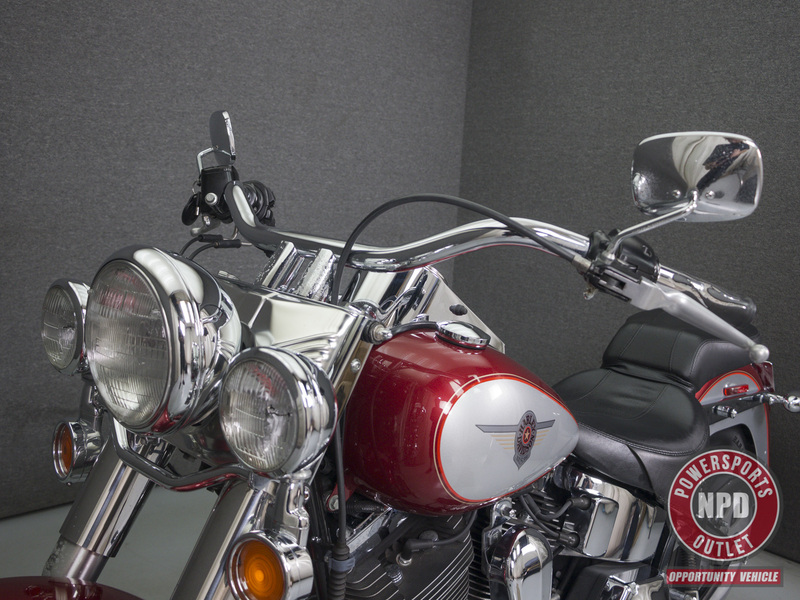 This bike has been upgraded with Slip-on mufflers, Driving lights, Quick detach backrest hardware, Quick detach windshield hardware, a "Live To Ride" derby cover, timing cover, and air cleaner insert, as well as flame grips and handle bars.